Enter the world of international espionage with that most famous of agents: James Bond. Based on the Casino Royale and Quantum of Solace films, this hard-hitting game delivers all the intense action and suspense you expect from the Bond franchise. Join 007 for dangerous and deadly intrigue across far-flung locations as you experience high-octane action that leaves you both shaken and stirred. "Built for Next-Gen, 00 Status Achieved. Bond is Back. 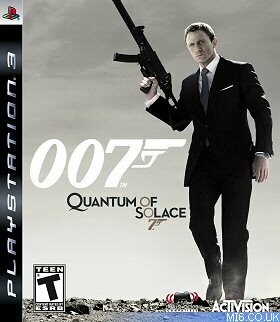 From Casino Royale to Quantum of Solace... and Beyond!" Coldy efficient... dangerous... the new Bond is the ultimate weapon in today's ruthless world of international espionage. 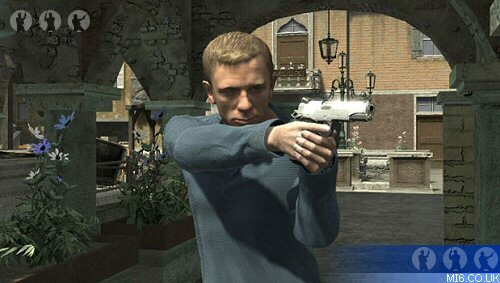 Blending first person shooting and third person action, Quantum of Solace the Game puts you in control of Bond's greatest weapon - his mind. 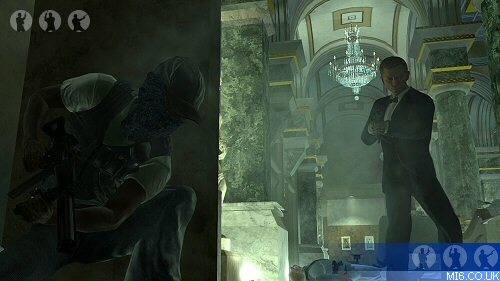 You must think like Bond and intelligently use the map and situation to your advantage. 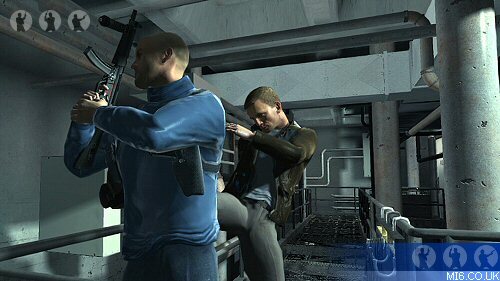 Confront enemies in a variety of ways: take them head on, fire from behind cover or sneak up and silently eliminate them with a variety of special takedown moves. Based on Quantum of Solace and Casino Royale, Quantum of Solace the Game puts you in the dangerous world of international espionage and intrigue. 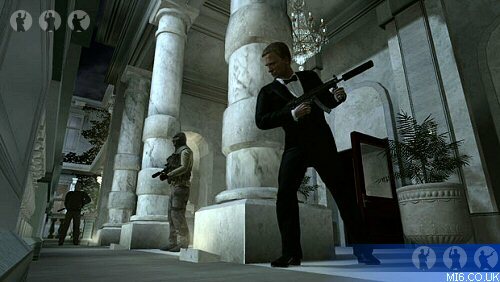 You are the new Bond: For the first time on next-gen, take control of the new Bond. Employ all you Bond skills in high-octane combat, chaotic gun fights and precise stealth takedowns. Take cover: First person shooting with third person cover combat allows you to adjust your gameplay to meet each challenge. Hide behind cover, fire from protected positions and use suppressing fire to distract enemies. Fight worthy adversaries: Advanced AI systems allow enemies to react to you in intelligent and tactical ways. Think quick, because they'll seek cover and outflank you. The new world of Bond: Utilizing the likenesses and voices of actors from both films including Daniel Craig and Judi Dench, the game immerses you in the story of how Bond becomes the ultimate 00 agent. Each mission will take you through exotic locations such as Casino Royale in Montenegro, the canals of Venice, the countryside of Madagascar, the deserts of Bolivia and the streets of Austria. Become the world's premiere MI6 agent: Bond goes online with standard 12-player multiplayer modes plus unique Bond modes such as "Bond VS" which pits you against other opponents in an intense race to complete objectives, and "Golden Gun" mode, which allows players to perform on hit kills using the coveted Golden Gun. 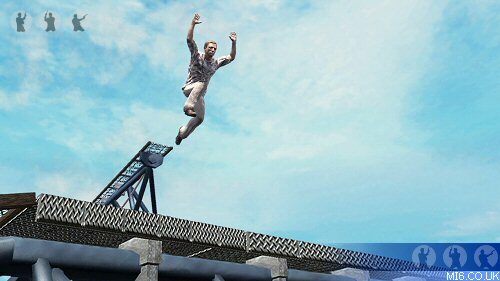 Activision acquired the video game license rights to the James Bond franchise on 3 May 2006, about six months after the theatrical release of Casino Royale (2006). They hold the rights until 2014. 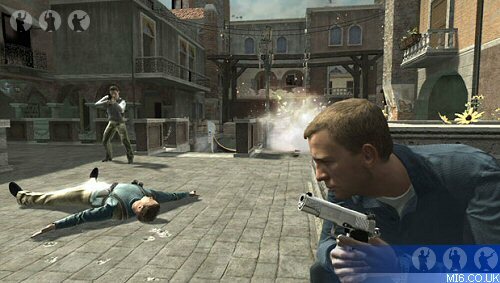 The license allows Activision develop and publish video games based on the entire EON back-catalog of James Bond movies including non-movie based games.